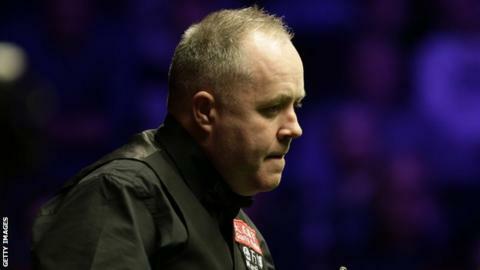 Defending champion John Higgins is out of the Welsh Open after a shock 5-3 quarter-final defeat by world-ranked 103 Joe O'Connor. In his first season as a professional O'Connor secured victory with a break of 131 in the eighth frame, his highest at this level. O'Connor faces 2017 Welsh Open champion Stuart Bingham in the semi-finals. Bingham beat Zhao Xintong 5-2. Neil Robertson and Hossein Vafaei will contest the other semi-final. For O'Connor, the 23-year-old from Leicester, beating Scotland's Higgins was his third triumph over a top-10 ranked player at the tournament after wins against Kyren Wilson and Ding Junhui. "I'm over the moon. This past week has been a bit of a dream," he told the World Snooker website. Australia's world number 10 Robertson came back from 3-0 and 4-2 down to beat world number 49 Kurt Maflin of Norway 5-4. Robertson will face Iran's Vafaei in the semi-finals after Vafaei beat Scotland's Scott Donaldson 5-1. Find out how to get into snooker, pool and billiards with our fully inclusive guide.